“Lazy, that’s your trouble” announced Emily Hahn’s surveying partner while she was studying engineering. This memoir, however, reveals that Hahn was anything but. No Hurry to Get Home opens with chapters focussing on Hahn’s childhood years. Hahn reveals that at an early age the urge to get away was manifested itself in running away from home, probably as a result of a “hangover” from reading books with protagonists who “scorned the stale air of indoors”. Following Hahn from this early experience through her upbringing in St Louis and Chicago in the first two decades of the 20th century, we encounter a father who was careful to ensure that his daughters conversations about clothes remained practical and never became vanity and sisters who were competitive and poached boyfriends. Hahn moves on to encounter the male chauvinist environment of engineering school and the joys of drinking homemade gin during Prohibition. It was awful to think of everybody in that big place getting up at the same time every morning, taking the same bus or streetcar to work, doing the same things every day at the office. Where in the world were people who did things simply because they wanted to—because they were interested? Did no one ever strike out along new paths? Charles Lindbergh’s solo flight across the Atlantic inspired Hahn to new challenges and she quit work and headed West again to become a Harvey Girl. Subsequent chapters follow Hahn around the world as she travels to the UK and Africa before heading to Japan and China, where she stayed for 8 years and was at the time of the Japanese invasion and the first part of the Second World War before she headed back to the US. Hahn is humorous and candid without being sentimental as she encounters the Kurtz-like anthropologist, Stewart, in the Belgian Congo, makes her way overland to Lake Kivu with a party of bearers, is confronted by racism in Dar es Salaam and recounts a Japanese air raid while she was in China. In one of the best known essays, The Big Smoke, Hahn recounts her experiences with opium (“I was quite determined. It took me a year or so to become addicted, but I kept at it”). Throughout, Hahn reveals common travellers’ preoccupations: communicating with home, the joy of first travel, conversations with other travellers, doubts about the suitability of traveling companions, concerns about the creeping commercialisation of popular travel destinations and the nuisance travellers can be to their families and friends when they return from travels full of anecdotes and extravagant habits. No Hurry to Get Home was originally published as Times and Places in 1970. Originally intended to be an autobiography, the introduction records how Hahn’s enthusiasm for the project waned as she became preoccupied with new projects but had spent the advance. The end result became an anthology of articles which had been published in the New Yorker, the magazine to which Hahn contributed over a period of 70 years (as a staff writer for more than 40 of those). The chapters in No Hurry are therefore stand alone which makes it an an ideal collection to dip in and out of. Hahn’s surveying partner at engineering school might have perceived recycling previously published pieces as a further example of laziness. That, however, would be grossly unfair. During her prolific career, Hahn wrote more than 50 books on a variety of subjects and made her final contribution to the New Yorker at the age of 96. Selecting previously published pieces was simply a way of meeting a commitment. In many ways, a memoir made up of pieces published in the magazine with which Hahn was linked throughout her professional life is a fitting testament and an ideal introduction to Hahn’s life and travels. The New York Times obituary of Emily Hahn is here. 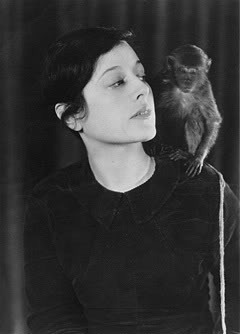 Read more of Emily Hahn’s work in the New Yorker archives, here.